At this time last year, several countries in Africa seemed close to being overwhelmed by Ebola. DFW residents were on edge after the first case of Ebola in the US was confirmed in Dallas and almost every media outlet was consistently publishing stories about the disease for weeks. The disease did not spread beyond a few patients in the United States; however, and today West Africa is seeing very few new cases each week. A newly developed vaccine is being distributed in areas where Ebola cases are still occurring but for the most part the public’s attention has moved on to other issues. For first responders and public officials around the country; however, planning for future outbreaks is an ongoing process. entities to respond to the threat of infectious diseases. Very few healthcare workers and medical institutions had experience recognizing and treating patients with Ebola so when the first case arose it wasn’t diagnosed immediately. 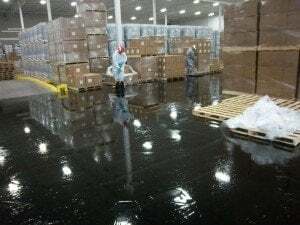 After news of the diagnosis reached the public, there was confusion about which authorities would be in charge of the situation and what role the CDC would play. Healthcare workers also had difficulty getting clear instruction on how to use PPE and the methods of decontaminating housing units inhabited by patients needed to be refined. A panel of experts recently released a report that outlines events that occurred during the patient intake, identifies the missteps made by the involved institutions regarding roles and practices and provides recommendations for communication at healthcare facilities to achieve better outcomes. The report also notes that despite the initial shortcomings, the healthcare workers still provided acceptable care to the infected patient. Along with the independent report, the CDC and OSHA have made numerous publications available regarding procedures for safely handling of an Ebola case. 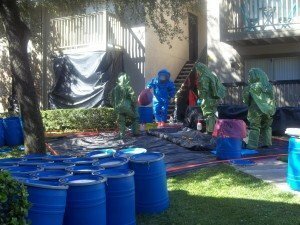 coordinate resources and establish procedures for decontaminating each apartment. 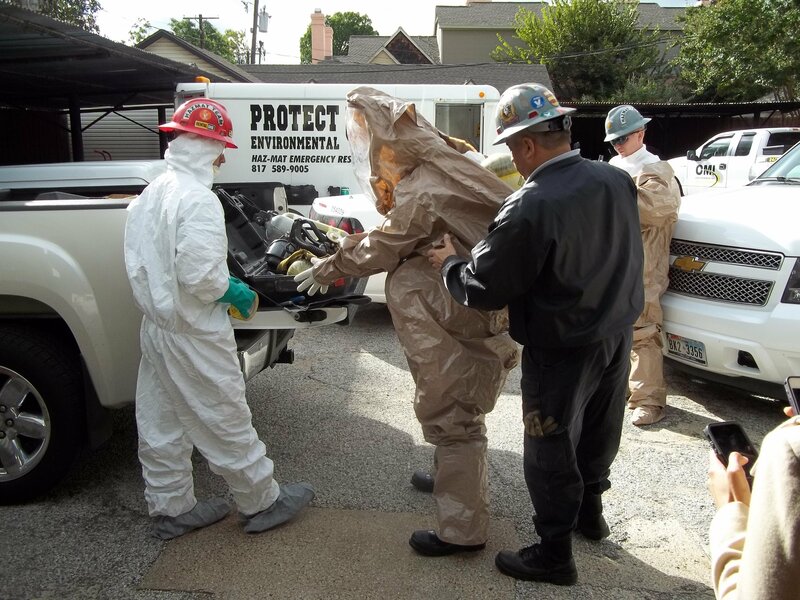 Since the successful operations, Protect has continued to work with government officials along with healthcare providers and educational institutions to help them prepare for other biohazard events. 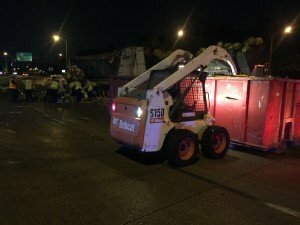 The staff at Protect Environmental are proud to have played a role in helping our community contain a potentially dangerous situation, but we’re also proud of the work that we do every day that doesn’t receive national attention. 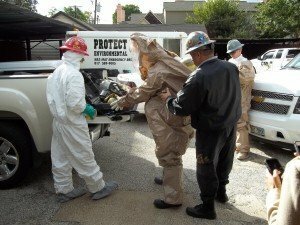 Our specially trained and dedicated HazMat teams are constantly assisting governments and businesses with cleanup and containment operations for chemical spills, roadway accidents and biohazard events. Since 1996, our focus has been on protecting the public and the environment. It’s part of our mission so that’s why it’s part of our name.